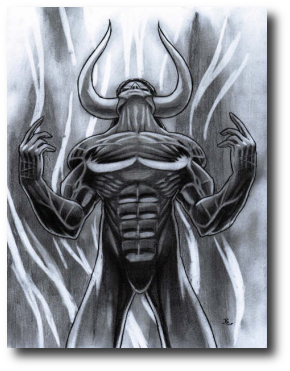 At 8:32 PM on June 16, 2024, Gerhardt Skarda conjured up Lucifuge Rofocale, one of the major demons of the Infernal Realm, and offered his soul in exchange for three wishes. He was granted, and received within 48 hours, irresistibility to beautiful women, the Chancellorship of Germany, and life everlasting. 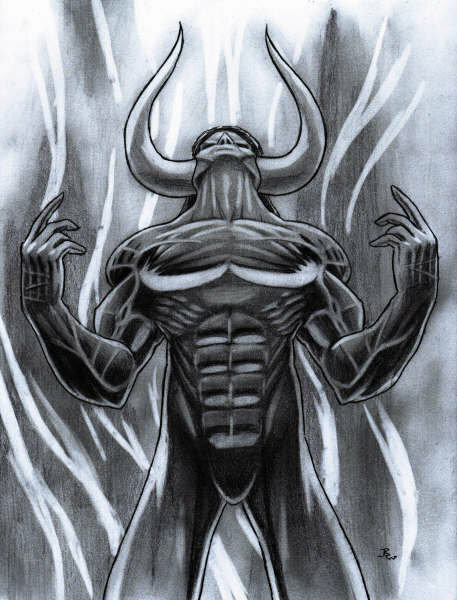 At 11:54 PM on June 16, 2024, Mohammet Achmed ensnared, within a carefully-drawn pentagram, a youthful son of the demon Baal. They flipped a coin — Achmed’s soul against unlimited credit anywhere in the world — and Achmed won. At 1:02 AM on June 17, 2024, Robert Taft Ellington, a world-class Grandmaster at chess, played for his soul against Lucifer himself. He applied the Indian defense and announced mate on the 27th move. Lucifer, who had foolishly accepted a bishop sacrifice without properly protecting his queen, agreed to make him the most popular singer of the decade, with groupies to match. And in Hell, where there is no time or date, and where even location is subject to the whim of its Dark Master, the princes and generals of the pits perched in conclave on a flat outcropping of rock, high above their sullen ruler. “And just as I could have made all women ugly, destroyed Germany, and allowed Skarda life everlasting while toiling in the pits beneath us,” added Lucifuge Rofocale. “Do you think he enjoys the suffering of the damned?” asked the son of Baal. And as they spoke, Lord Lucifer strode through the lava streams of Hell. Finally he stopped and, as he had done a billion times before and as he would do a trillion times in the future, he raised his gaze to Heaven. The brilliance of the light seemed to grow in intensity as he stared at it, and an instant later, tears of pain streaming down his face, the Dark Master let his consciousness float upward and outward, joining for the merest flickering of an instant the triumphant and pleasure-filled bodies and souls of Skarda and Achmed and Ellington and a million others, as he grasped futilely for a tiny taste of the Paradise he had relinquished so long ago. Mike Resnick is the award-winningest science fiction writer on the planet. Copyright © 2009, Mike Resnick. All Rights Reserved.